You can slather sunscreen all over your face, but nothing compares to the protection a good hat provides. We all know we should wear a hat when playing outside to prevent those nasty UV rays from reaching our skin, but there are literally thousands of them on the market. How to choose? I’ve rounded up my favorite hats, ranging from all-around sun protection to unique designs and creative artistry. If you are searching for a hat for this summer’s outdoor adventure, I’m willing to bet you’ll find something you like on this list. I love me a trucker hat, but I really get excited if there is a unique design on the front. Thankfully, Rachel Pohl is a talented artist who delivers in spades. Based in Montana, she creates each design based on inspiration she draws from the natural world and uses a variety of colors that ensures you won’t see a lot of your hat….well, anywhere. In particular, I love the Hyalite Reflections print and the WanderLove hat, but if neither of those fill the empty hole in your closet, I bet you can find another that does. The Adventure Hat does what hats are supposed to do: protects your skin. 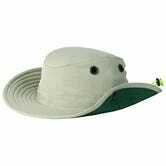 A four-inch brim and 7.5-inch neck cape mean your face and neck are fully covered with UPF 50+ fabric and a wicking sweatband soaks up droplets before they have a chance to roll down your cheeks. And, guess what else? The darn thing floats in water so you don’t have to worry about losing it to the rapids on your next whitewater trip. Boo-ya. Sure, it’s on the pricier end but that is because you get a heckuva lot when you make this purchase. First of all, Conner aims to be a responsible company with a 100% solar powered warehouse. Moreover, the company uses non-toxic, biodegradable, and water-soluble garment bags, as well as biodegradable materials instead of single-use plastics. But aside from that, this hat is simply badass. In addition to UPF 50 sun protection, the hat is waterproof and crushable so it won’t get thrashed when you throw it in your backpack. And also: it looks good on any face. Like the Rachel Pohl hats above, the Akinz caps are less about technical amenities and more about style. After all, this hat expounds upon two good things in life: beer and joy. Plus, Akinz is a small company that prides itself on the handcrafted elements with their products. Almost every single beanie is still handmade (that’s a lot of crocheting!) and the shirts are designed and hand printed in the flagship Akinz store in Fort Collins, Colorado. Three cheers for supporting small businesses! 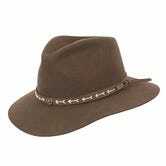 Filson is a classic in this category and the Twin Falls hat exemplifies the same style and quality that Filson is known for. 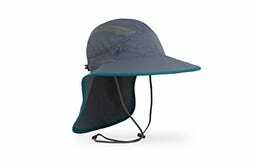 The Twin Falls features the brand’s signature Cover Cloth (providing water and wind protection) with UPF 50 like other hats in this category, but also uses a three-inch brim to shade your face and neck. The locking cinch cord snugs up as tightly as needed so you won’t lose your gear during a gusty windstorm. I’ll start with the bad: at $110, this is by far the most expensive hat on this list. But, this list of features is a mile long and may offset the price tag for some people. 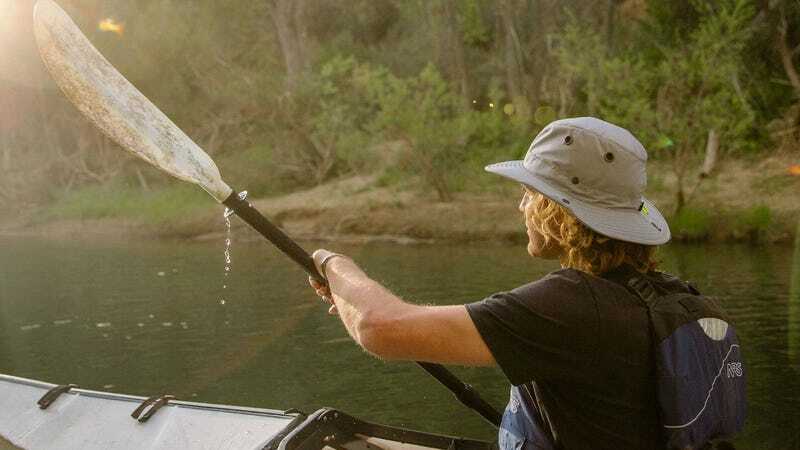 As with others, the Paddler’s Hat offers UPF 50 sun protection, but this hat also features an extra-stiff front brim with wiring throughout to help with wind protection. A hunter green under-brim helps minimize sun glare off the water and a moisture-wicking sweatband mops up your perspiration. The sides also snap up for bonus wind stability and added coolness (because yes, that is a sweet look). A secret pocket stores small valuables and reflective yarn in the wind cords make it tough to lose at dawn and dusk. Finally, thanks to foam in the brim and the crown, it floats, just like a duck.